Venerable Madawala Seelawimala Mahathera (Bhante Seelawimala) is a Theravadin monk from Sri Lanka. He received his novice ordination at age 10, and full ordination at age 20, in 1968. 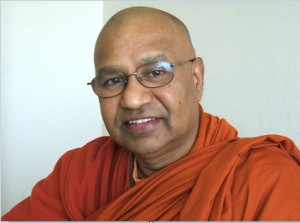 Since 1976, Bhante Seelawimala has been a Professor of Theravada Buddhism at the Institute of Buddhist Studies. He is also the Founder of the American Buddhist Seminary, and Spiritual Director of their Temple.